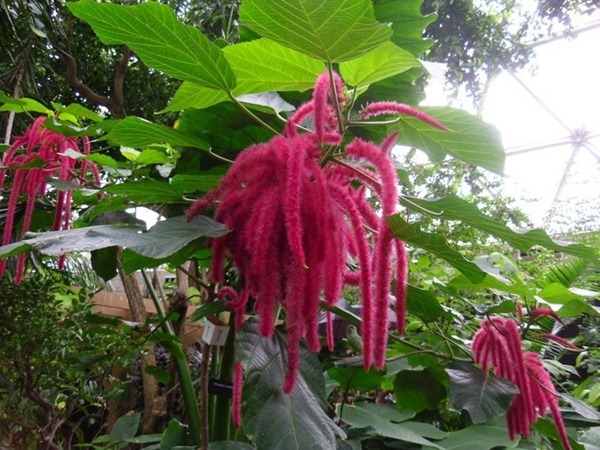 My girlfriend and I were exploring the Vancouver Conservatory and discovered this plant, which was clearly blessed by his Noodliness, and believe it to be a sign that he still surrounds us with his blessed appendages in all life. 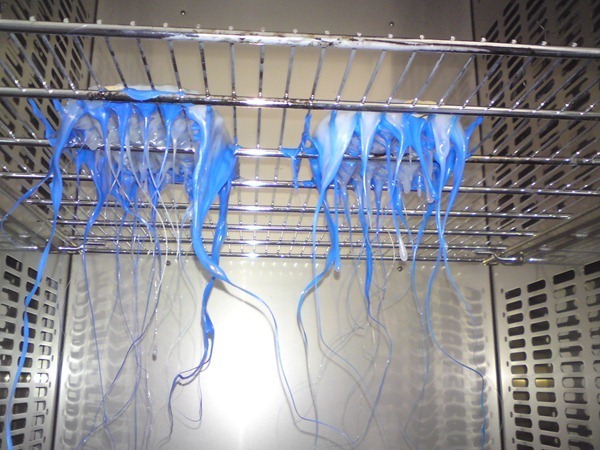 I accidentally melted pipette tips boxes in a 180°C oven in my lab. I think its a sign! 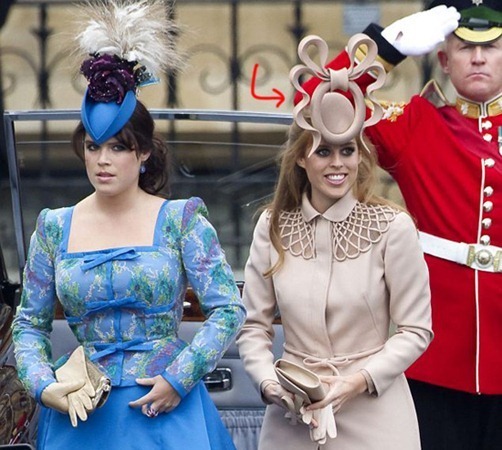 Attached is the photo of Princess Beatrice rocking her flying spaghetti monster hat. 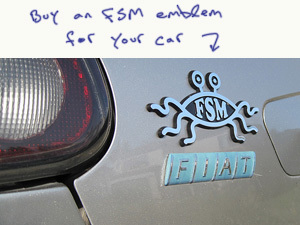 Way to go you royal pastafarian! 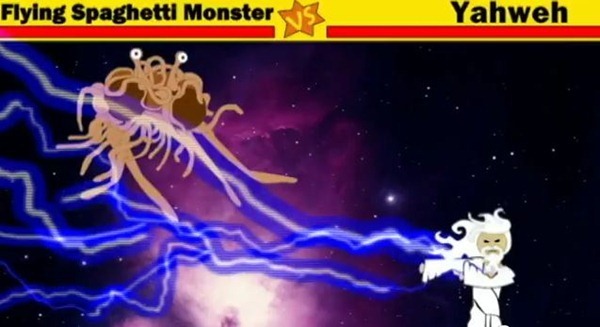 Thanks to Ashley for sending the link to this video in which the FSM battles Yahweh. 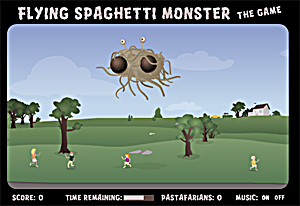 I believe this is more fictional than a historical re-enactment, as the FSM is a peaceful God and I don’t think He’d fight even if provoked. Normally it holds our stickers for labeling chemical bottles, but we feel we have been visited. 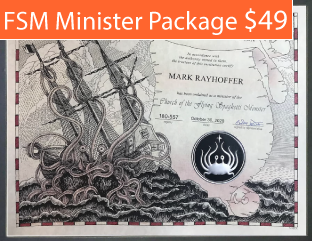 We’re thinking of turning the stock room into a shrine, charging admission, and turning ourselves into monks of the FSM. Instead of habits though, we’ll wear our Tyvek lab bunny suits. 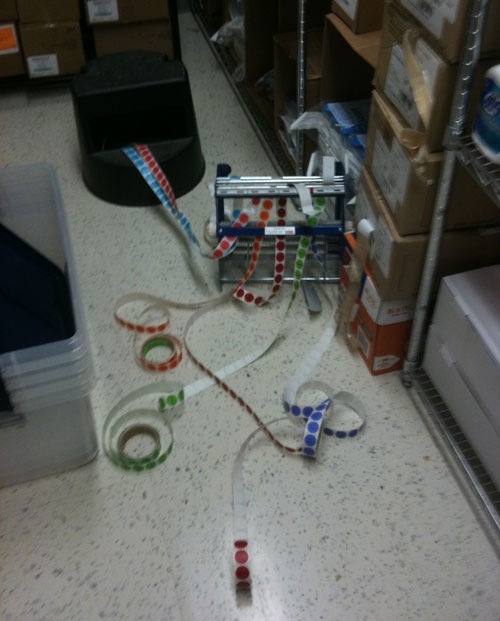 We think the FSM was trying to tell us not to turn that room into a BL2 lab. 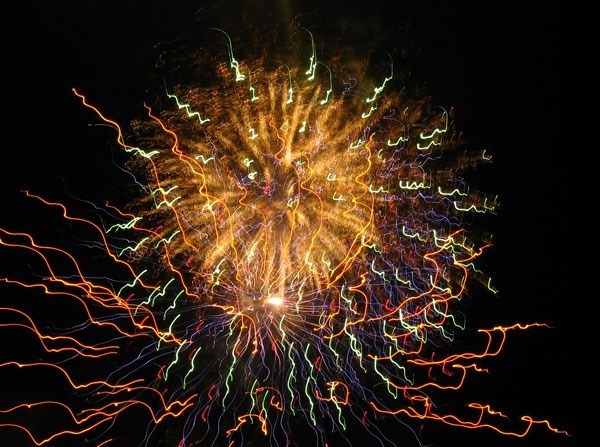 Not long after I learned about Pastafarianism I was taking pictures of fireworks and captured the attached picture. I never got around to sending it in but I figured better late than never! 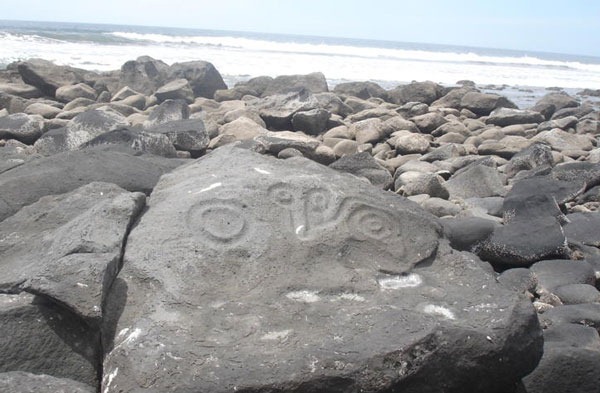 We have this picture of His Noodliness from a spot North of Mazatlan, Sinaloa, Mexico, from some petroglyphs in las Labradas and here it is. 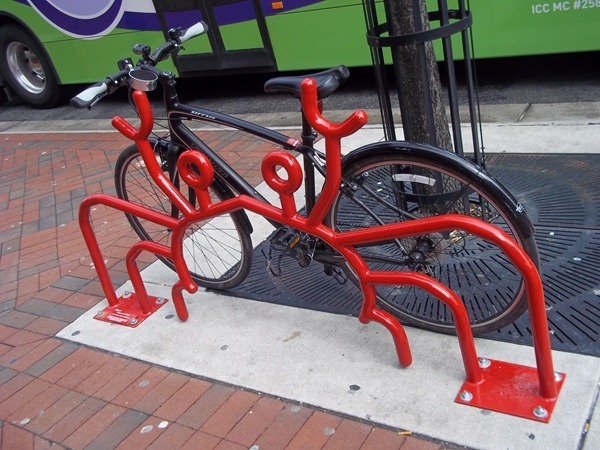 Sam spotted this FSM bike rack on Bike Baltimore. 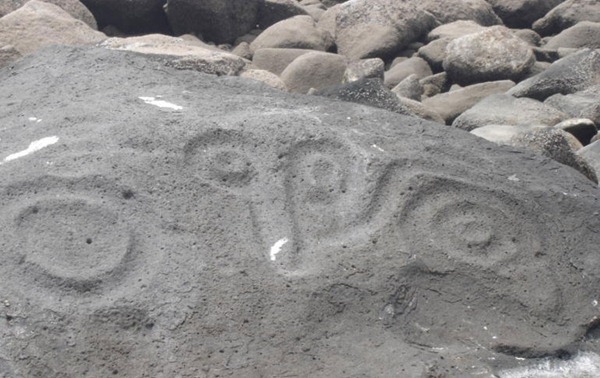 They claim this is a crab but it’s likely they just have not been enlightened yet. My son called me over to show me this detail from a 1630 German display cabinet that is currently on display in the Getty museum in West LA. 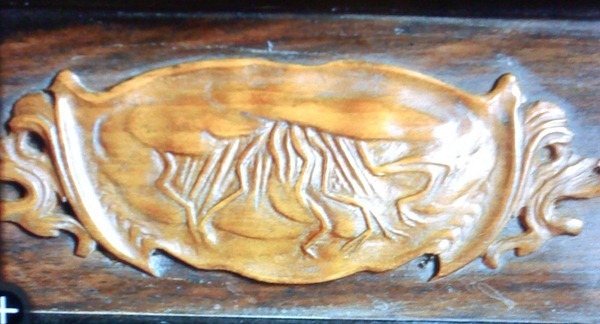 It clearly and indisputably shows the image of His Noodliness, carved by a really talented worshipper 481 years ago. 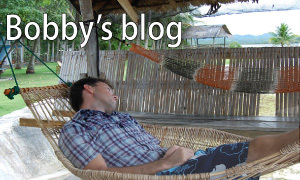 Our religious fervor was only broken by the professional grade snarly face of the security staff. 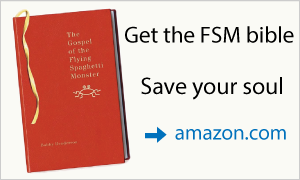 They have some other cockamamie idea what the image depicts, dreamed up by godless LA leftist landlubbers no doubt. 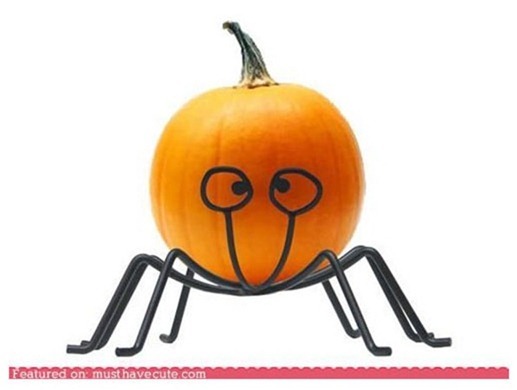 Saw this while I was looking at one of my favorite websites. Instantly thought of Him.